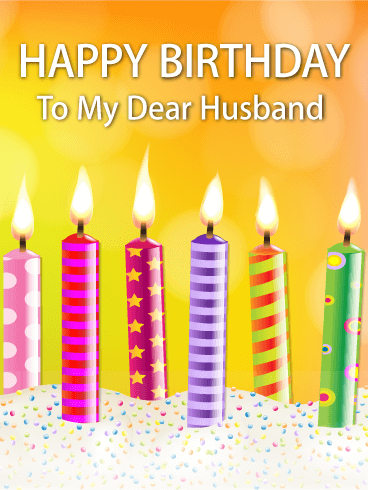 You want your husband’s birthday to be extra special, so you need a heartfelt card. 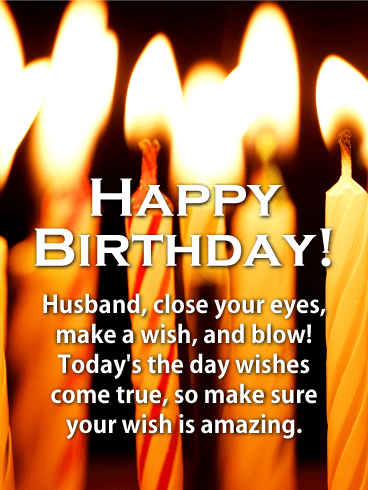 Send your lover the Make Your Wishes Come True Happy Birthday Card for Husband to let him know you’re rooting for all his dreams to come true. Even more than that he should tell you what he’s wishing for so you can try to make it happen yourself! It's your husband's day to shine so there is no better time than now to send this spectacular birthday card! The candles are shining bright and represent the grand occasion that is taking place today! This outstanding birthday card features vibrantly colored candles placed upon a yummy frosted cake. It doesn't get any better than this! 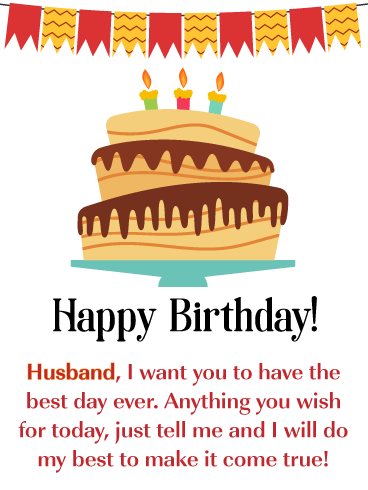 Send this awesome birthday card over to your husband today! What says happy birthday more than colorful birthday candles! Add a white icing cake and a bright yellow background and you have the best card ever! That's why this would be the perfect happy birthday card to send to your wonderful husband. It will brighten his day the moment he sees it! 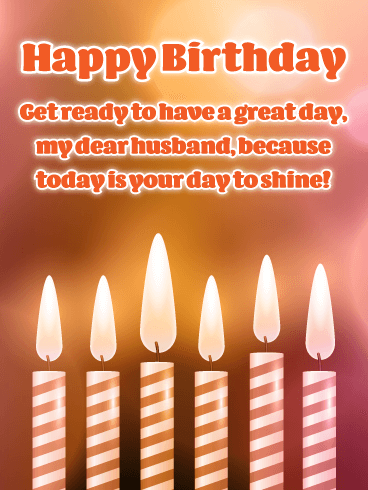 Wish your dear husband a great day by sending him this marvelous happy birthday card!